There is an immediate visceral and visual satisfaction when looking at what Lorenzo Vitturi himself calls his “ephemeral sculptures”, which are playful installations and precariously balanced still lifes, whose explosions of colour seduce the eye. First coming to our attention in “Kingsland Road Overture” – a surreal story and film from Dazed Summer 2014 issue, whereby the photographer explored everyday items from Dalston’s Poundland shops, and juxtaposed them with clothing from Maison Martin Margiela’s Artisanal collection. 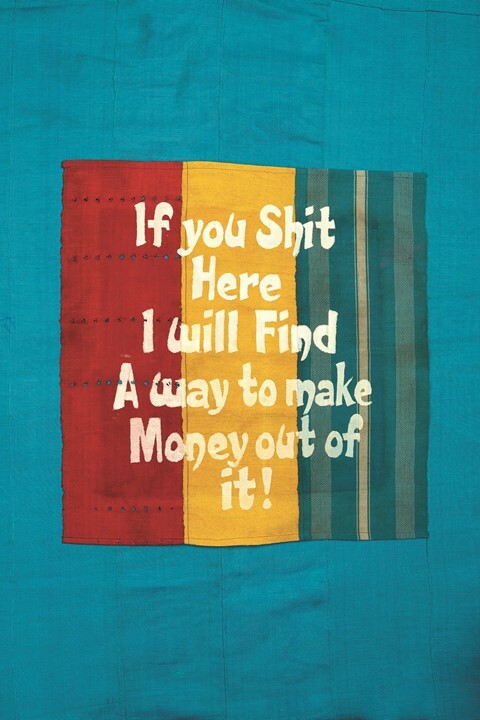 Most recently, however, they can be found in his deeply personal book, Money Must be Made. 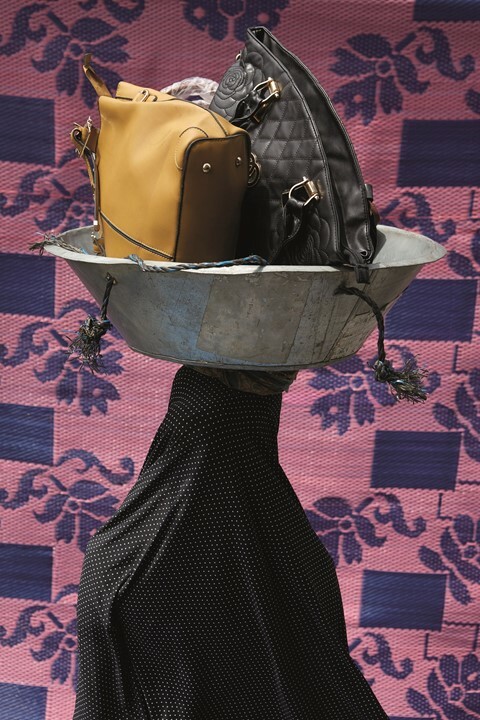 Vitturi uses local materials gathered in his recent trips to Balogun Market in Lagos, Nigeria. Trips that are documented in the book through aerial photographs of bustling crowds, portraits of market sellers with their wares in statuesque poses and vibrant, intricate collages. Vitturi calls Ridley Road Market – the subject of his previous book, Dalston Anatomy – a “silent lounge” in comparison with the overwhelming chaos of Balogun Market. But it was this earlier project that began Vitturi’s interest in West African culture and, thanks to an invitation from Azu Nwagbogu, head of the African Artists’ Foundation, this interest matured during his residency in Lagos. 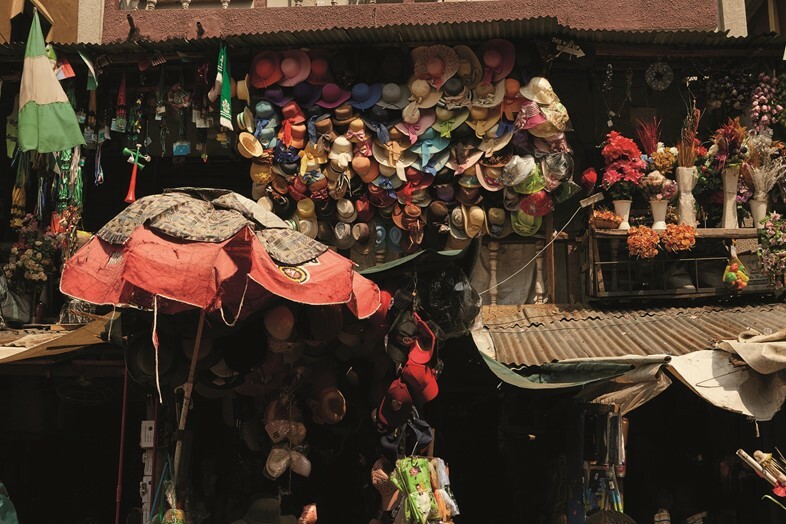 In Balogun Market, Lorenzo interestingly observed a kind of “reverse gentrification”. The imposing Financial Trust House, the former home of banks and western corporations, lies derelict and coated in Saharan sand as the market thrives below. While this has incited a kind of cultural boom, the situation is more complex: Lorenzo tells me 90 per cent of the goods sold in the market come from China. Cheap textiles from China that copy and threaten to replace the local Aso Oke (a traditional Nigerian fabric). 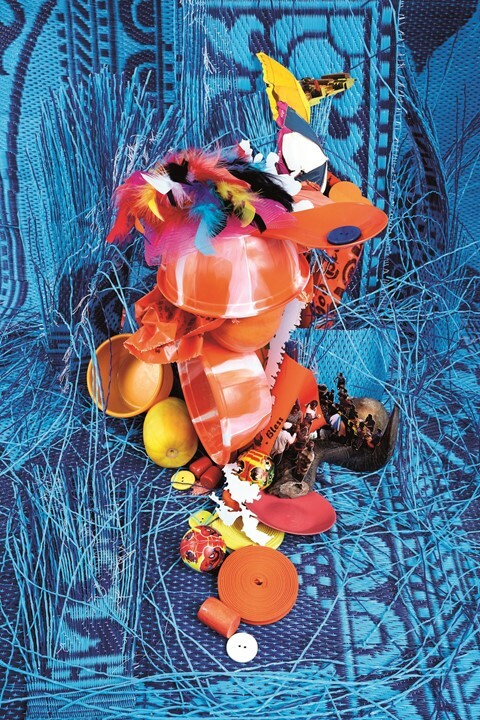 By blending cheap, colourful plastics with these more organic local fabrics, Vitturi suggests he, “uses the studio as a space to arrange these materials of a different nature together, so for me, the final sculpture represents the complexity of this difficult culture that is in a way merging, or not merging, but living together – visually, that’s what I’m trying to do.” In forcing us to look at these materials from new angles, Vitturi’s work asks us to reflect on not only these everyday objects themselves but also the complex cultural tensions they embody. This desire to dig deep into Lagosian culture drives Vitturi’s focus on local markets: “It is usually considered quite a trivial subject if you want, but to me if you observe the market it can be a micro-reality, it is able to show you the complexity of issues nowadays and especially in this case about Lagos society which is quite complex”. Vitturi’s work shows how markets are, in fact, vital cultural spaces of sensory overload that reflect the social and political intricacies and tensions of the country at large.